Whether you are a sports enthusiast or looking for something new to do, Singapore’s sporting scene will not disappoint. In recent years, Singapore has played host to some of the biggest sporting events in the world. 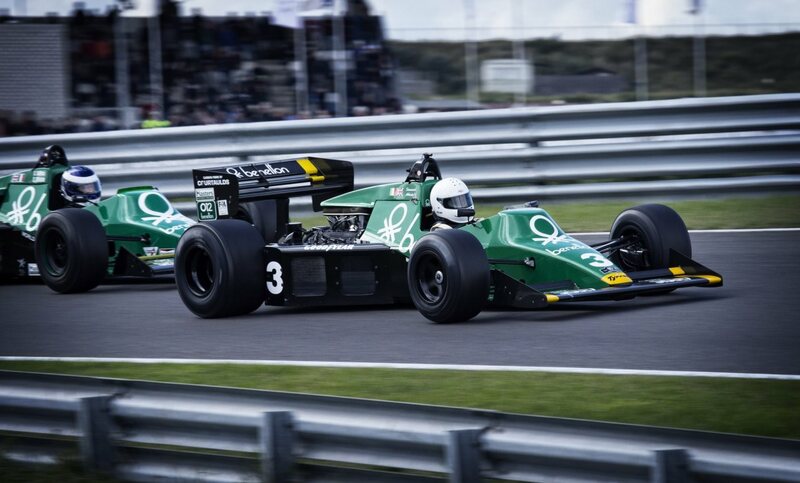 From the renowned Formula One to the UFC fight night, there are a number of competitions and events that will more than likely draw out the competitive spirit in you! The HSBC Women’s World Champions brings the best in women’s golf to Singapore. This four-day golf tournament is anything but dull and boring. Featuring some of the best female golfers in the world, the four-day golf tournament gathers all winners from the previous Ladies Professional Golf Association season. This tournament also includes the top 20 players from the Rolex Women’s World Ranking of the same year. The competition, which pits the best of the best against each other, will keep both golfers and non-golfers alike at the edge of their seats. Apart from the much anticipated competition, there will be an exhilarating line-up of music and food available close to the event space. Local DJs are invited to join in the fun as well, so you will be not only wet your palate with food from world-class bars, but you get to groove to the beats of talented DJs. As the world’s premier sports event, UFC is features MMA fighters from all over the world. For some context, MMA stands for Mixed Martial Arts, which is a full-combat sport that incorporates various fighting techniques and skill from different combat sports. This basically means that most of the movements are a combination of grappling and striking techniques while standing on the ground. Essentially, the competition offers athletes of different backgrounds to compete against each other.The UFC Singapore Fight Week usually precedes UFC Fight Night Singapore, which consists of a week of festivities that can be enjoyed by all. The anticipation reaches it climax on fight night where the best fighters tackle and grapple for the UFC championship. Fans can watch their favourite UFC go through their training and even get autographs and take part in interactive games as well. As an exclusive Southeast Asia event, the HSBC World Rugby Singapore Sevens is an anticipated event that features 16 of the world’s top rugby nations. After the game ends and the winning team walks away with well-deserved recognition and trophies, the fun and excitement continues without any signs of slowing down. A slew of lifestyle and entertainment options are available both on and off the pitch for participants. To keep the crowd entertained and engaged, there will be acts that perform rugby anthems and infectious sing-alongs. There will also be a fun zone that offers plenty of activities for all ages. Continue the party at Clarke Quay, where event’s official after party partner will spice up your night with your favourite tunes. The annual Formula 1 race is one of the biggest events that takes place in Singapore. The race days which usually falls on the the 20th, 21st, and the 22nd of September draws thousands of people from all over the world. The street circuit is set in the heart of Singapore’s downtown, hence most of the roads in this area will be closed prior to race day. Besides the neck and neck racing between the greatest racers from all over including Lewis Hamilton, Fernando Alonso and many others, the 10-day Grand Prix Season Singapore offers numerous premium and exclusive entertainment and lifestyle events that will take place throughout the island. Indulge in special menus by select restaurants during the race week. Additionally, you can be part of the opulent parties that will be thrown at CÉ LA VI, 1-Altitude and Manhattan Bar, which has been noted to be the best bar in Asia. Moreover, during the Grand Prix Season Singapore, Singapore will play host to a number of international and local music acts performed by renowned artists. In the previous years, singers and artists such as Katy Perry, Dua Lipa, John Legend and Kylie Minogue have taken to the stage to serenade attendees with their songs and performances. If you’re looking to be a part of the sporting action, consider joining a marathon. It doesn’t matter what your goal is, whether you’re looking to be the first to cross the finish line or looking to complete the race at your own pace, there are a handful of competitive events such as the Standard Chartered Singapore Marathon, Osim Sundown Marathon and others that you can sign up for. These marathons come with various distances and routes that suit all ages. For instance, the Standard Chartered Singapore Marathon comes with five different adult categories, ranging from 21 km to 5 km. Kids can also showcase and have fun by participating in the 600 m Kids Dash!